I’ve mention various ways of making money through buy/sell products and services in my previous post. This post i will mention the 2nd type of money making online, earning money via advertising revenue. Create websites with informative content or develop a niche community. Sell flat rate banners, cpm banners, text links, newsletter plugs. 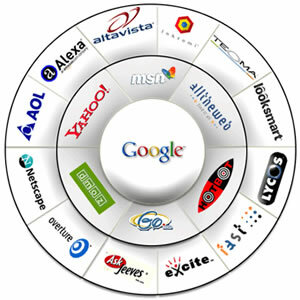 Leverage on the ad networks such as Google Adsense, Text Link Ads… They have a pool of advertisers. This is a more specialize type of webmaster. Same as the above, earn revenue by selling links and banners. There are many people do blogging as their online career. On top on the normal marketing, promotion and seo, successful blogs usually have the same traits, exclusive information, entertaining posts, interesting personal opinion. Please do take note, before you consider to take the above 2 routes, you need to understand before you can really live off as webmaster or blogger it takes lots of time and effort for a website/blog to be developed and start earning revenue from it. It could take years… just remember… it is not an easy route. Besides buying and selling of good domains. You can earn revenue by parking your domains. Successful domainer is able to live off by just having good quality type-in domains and expired traffic domains. There are parking services such as Sedo, NameDrive, etc… letting you park your domain and earn some revenue through it. However, this is not an easy route either. Domain names are like virtual land plots. You want to live off with domain parking revenue, you will need to have capital to buy quality domains with traffic. Main avenue to find private advertisers is through webmaster forums such as digitalpoint, sitepoint. Ad network such as Google Adsense, Text Link Ads provide a huge marketplace for advertisers and publishers. For domain parking, there are specialize network to provide revenue domain parking service, Sedo is one of the largest revenue domain parking provider. Nice site design. I find that Text Links are the best sellers and easiest to manage. AdSense is nice, but such a pain to keep testing new designs, colors and locations. Great informative posting. But where can I find the part1 of this article? I hope you are awared about latest google trend to penalize certain linkbacks .. Many blogs fail to hit the key important parts of this topic and I feel you have directly hit the nail on the head and thanks again for this.. this is pure gold my friend. You know, I read a ton of blogs.. and I do mean a ton of them, I pretty much live on the internet. This is one of the few that keeps my interest though, keep it up! Is anyone making money these days from domain parking? I tried for a few months and was a complete waste of time and money..
Blog Traffic Made Easy- FREE Download! © 2019 SiteFever.com c/o Neon.